All fees must accompany entries, and be payable in US funds. Payment can be made by sending a check made payable to the Midwest Region. 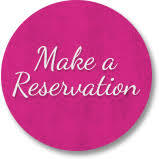 Please click the make a reservation icon to make your reservation with seating requests (up to 10 per table). Photos must be received by May 10, 2019 to insure that your award is ready for presentation at the awards banquet. Late submissions may delay your award delivery, and/or incur an express delivery charge to the region that you will be responsible for paying. Pictures must be top quality photos – 300 dpi or better – and at minimum 4×6. You can have your photographer email them for you to ensure proper quality. Most typical scanned photographs are not of the right quality – You may scan your own photos, but please make sure the photos are at least 4″ x 6″, 300 dpi high resolution scans and in a .jpg format. Breed and Color Award Winners – 1 photo for the slide show only if you are attending the banquet. Top Championship, Kitten, Premiership and HHP – 2 photos for the slide show, one head shot and one full body shot would be best. DM and GoD – 1 photo, full body shot is preferred. Best Cat, Kitten, Premiership Cat, and HHP 3 professional photos (including a head shot and full body shot) and 12 candid shots of your season. You also need to choose a song, please provide Name of Song and Artist. In the email subject line, please put Regional Photos. Emailing Photos is preferred. If necessary, you may mail an original hard copy photo, no smaller than 4×6. We will have a file from CFA listing the official name, titles, breeder and registered owner. ONLY the recorded name, titles, breeder and owner, from CFA, can be included on your award. If you have a larger amount of photos to submit, please contact Jim for other options to transfer the photos. It’s time to start getting psyched about whose award we want to sponsor or how we can help support our Breeds and our Region. There are various ways to do this. You can either email me or complete the form and mail to me with your check payable to the CFA Midwest Region. Alternatively, you can use Paypal by clicking the “Donate” button on the home page of this website. Indicate “Award Sponsorship” in the comment box. With your help, we can support our Region by again covering the cost of these awards.